MAHOPAC – The athletic program at the Mahopac Central School District is allegedly involved in another racial incident. Five years after some fans shouted racial slurs at players and fans of Mount Vernon basketball – which resulted in the suspension … Please login below or purchase a subscription to the Putnam County Courier to access this content. 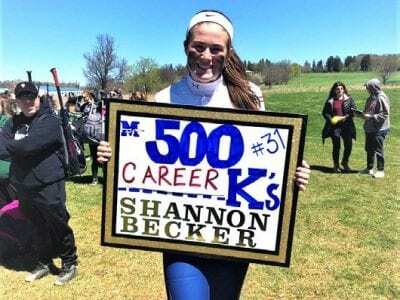 Shannon Becker after her 500th strikeout last Tuesday. 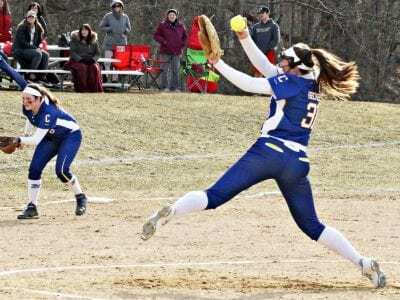 Photo ProvidedBEACON – The best high school softball pitcher in Section 1 just reached one of many milestones that will likely come her way. And she still has more than half a season of softball … Please login below or purchase a subscription to the Putnam County Courier to access this content. 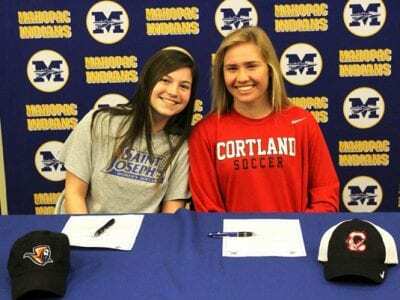 Photos by Laura Lee Holmbo Samantha Colotruglio and Katrina Klammer, soccer standouts at MHS, sign their letters of intent.Five student-athletes from Mahopac High School finalized their college plans prior to the spring break by signing letters of in… Please login below or purchase a subscription to the Putnam County Courier to access this content. 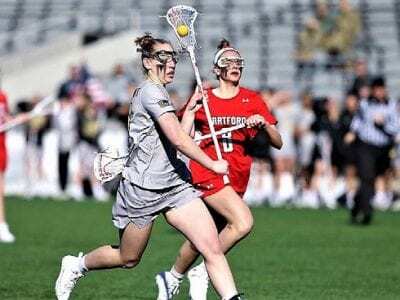 BREWSTER – Maggie DePaoli and Meagan Beal had four goals apiece on Thursday, leading the Brewster High School girls’ lacrosse team to a 16-10 victory over rival Mahopac. DePaoli also had four assists in the victory as the Bears went 1-1 last week aft… Please login below or purchase a subscription to the Putnam County Courier to access this content. 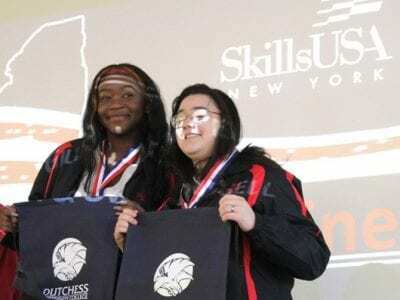 At right, Jaclyn Pedoty and Sabrina Gill have taken top honors in regional Skills USA competition. Photo By Karen ThorntonJaclyn Pedoty of Putnam Valley and Sabrina Gill of Carmel let their talent shine this month by taking top honors in the Digital … Please login below or purchase a subscription to the Putnam County Courier to access this content. MAHOPAC – Casey Tewey had it going on last Thursday. The Mahopac High School right-hander had all his pitches working, and the Indians beat county rival Putnam Valley, 5-1, in a non-league baseball game. Tewey went all seven innings, gave up just two… Please login below or purchase a subscription to the Putnam County Courier to access this content. MAMARONECK – The Mahopac High School girls’ lacrosse team wrapped two tight wins around a loss last week to improve its record to 3-2 overall. The Indians bounced back from a 14-4 loss to Section 1 power Yorktown by nipping Mamaroneck on Saturday, 5-… Please login below or purchase a subscription to the Putnam County Courier to access this content.